However, if you go: Like New Orleans and Austin, Texas, I have a feeling there are some real gems to be found if one concentrates on music and investigates and checks out the various bars and restaurants with live bands and performers. And as I’ve mentioned, Hemingway’s house is fascinating and the tour is a must do. There are 40 cats in residence and many are descendants of the original six-toed (or polydactyl) cat named Snowball, which was given to Hemingway by a ship captain. Apparently six toed cats were considered good luck on ships. These cats roam the property and seem to own the place. The Conch Republic Seafood Company overlooking the docks right in the middle of town is a great stop for lunch. Good food and atmosphere. 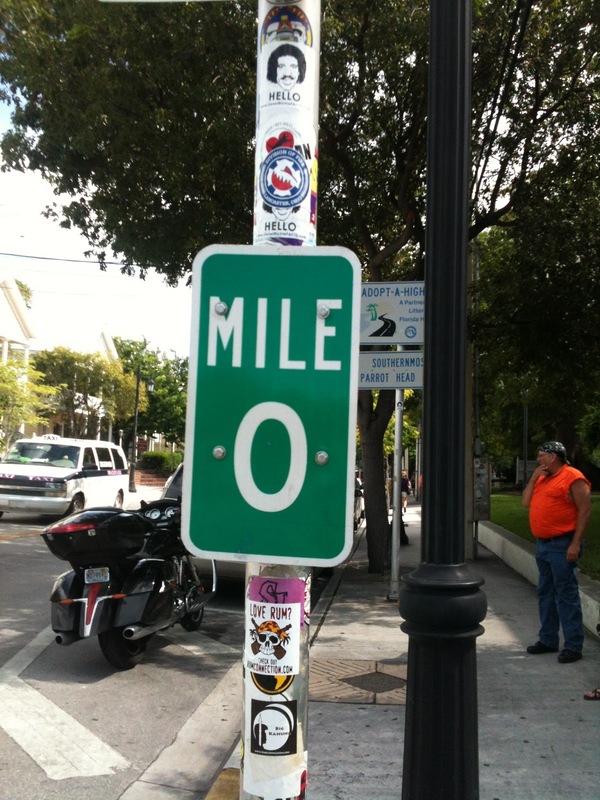 The highway that ends in Key West at Mile Market “0”, US Highway One, is 2,209 miles long and runs from Fort Kent in Maine. The nearest Wal-Mart is 126 miles away. 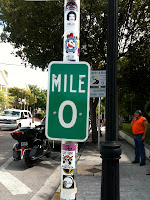 Key West is the southernmost city in the United States. The city is closer to Cuba than it is to Miami.